Before making a trip to Central Oregon for elk hunting, I decided to drive to Jewell. 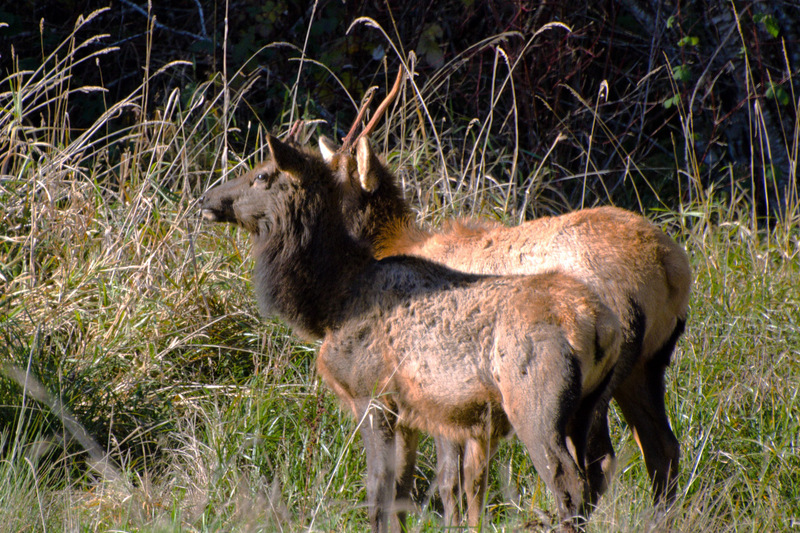 It’s always good to see elk before a hunt to have them fresh in the mind. 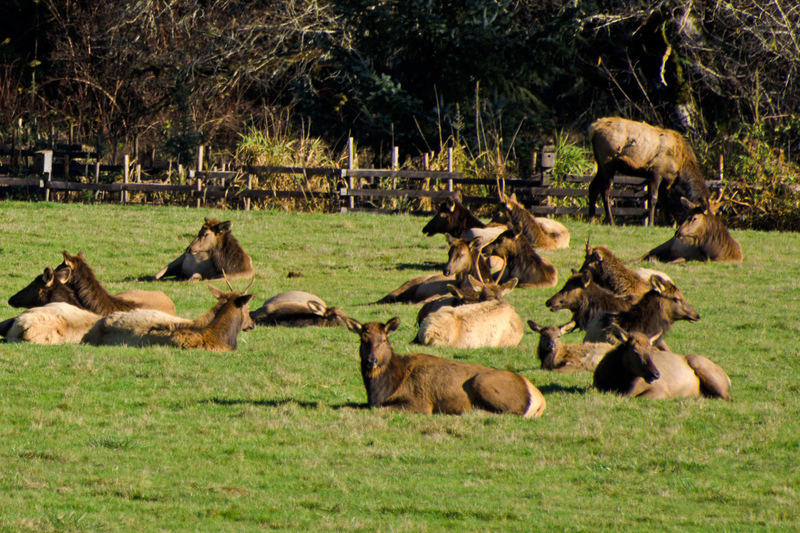 There were several hundred elk in the Refuge’s meadows. 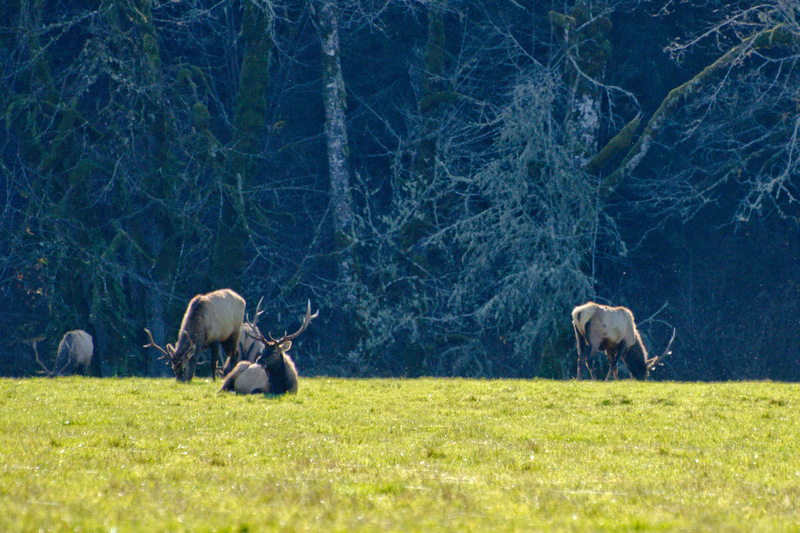 Most were lying down in the mid-day sunshine. The bright light combined with the animals’ dark coats led to deep contrasts, not a good prescription for quality photos. After leaving the Refuge, I hiked in a nearby area. And, to my surprise, walked up on two young bulls out foraging. I couldn’t help but think about tasty veal. Now I was ready to go elk hunting the following week.